What is a choke point? 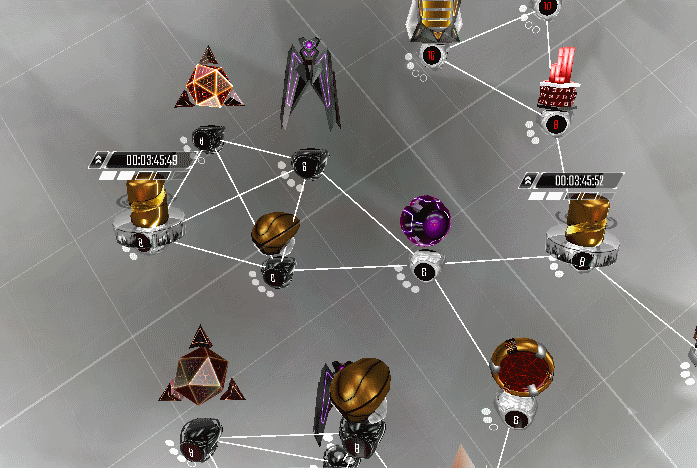 A choke point is a defence mechanic that uses low firewall nodes to their maximum potential. A choke point is giving a weak firewall node to the attacker to put his viruses on and linking that weak node to defence nodes. 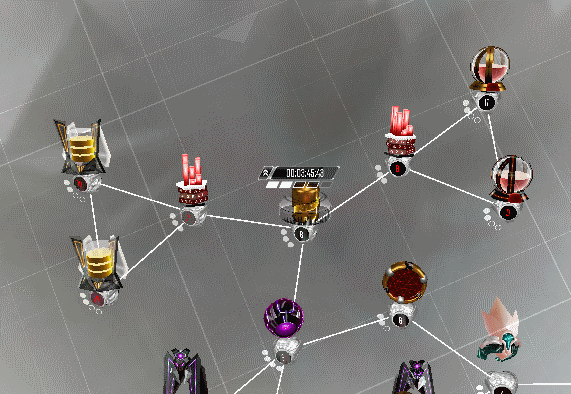 This allows the defence nodes to quickly take back the weak node and delete all the viruses on that node and making the attacker waste more viruses to take it back and move on. Why do I need choke points? It may take a bit of math and careful planning, but in the end, it does annoy the attacker if he/she is not careful and can help defend your resources and rep. Choke points take back weak infected nodes quickly and deletes all the viruses on that node. Let's say someone tries to hack you with beam cannons and ICE walls. 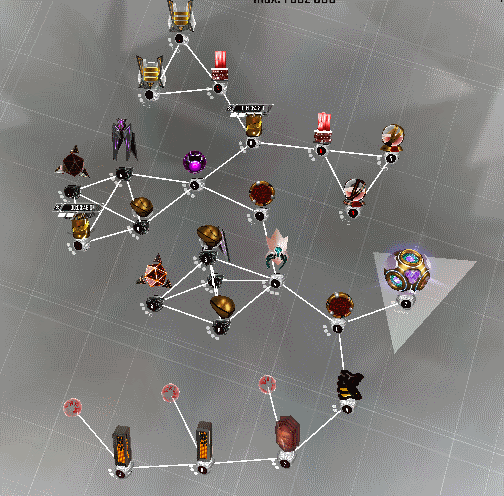 They get to a choke point with 3 attacking slots. They place down 2 beam cannons and a ICE wall. Your choke point quickly takes down that ICE wall and then if the hacker doesn't notice, that choke point can be taken back in less than a second - deleting those two remaining beam cannons. That's two beam cannons that need to be replaced! Thus reducing the attack capability of the hacker and improving your chances of a successful defence. How do I do make a choke point? 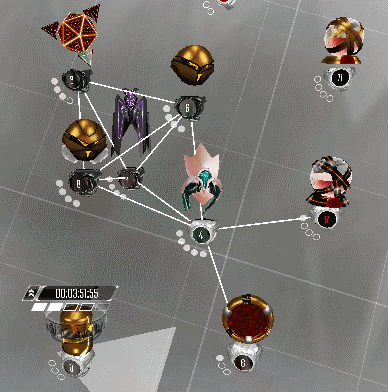 So I talked a lot about weak nodes and how they can easily be recaptured by defence nodes/antivirus nodes. Cool! Let's see some pictures! 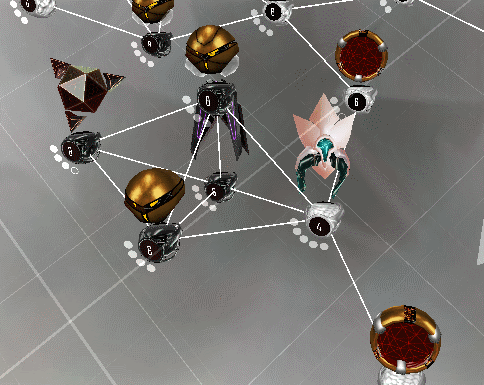 Example of using a guardian as a choke point. See how the attacker has to get past the heavily guarded guardian to get to the mixer? I hope this helps! Feel free to comment on any of my examples or explain the concept better. Thanks! Last edited by Fluffington on Tue Dec 06, 2016 9:16 am, edited 6 times in total. Very very nice post man! Nice to see someone cares about the game so much. But I was just thinking about those kind of chokepoints. I am in similar situation to shown on your whole base picture with Server Farm connected to two "choke points". 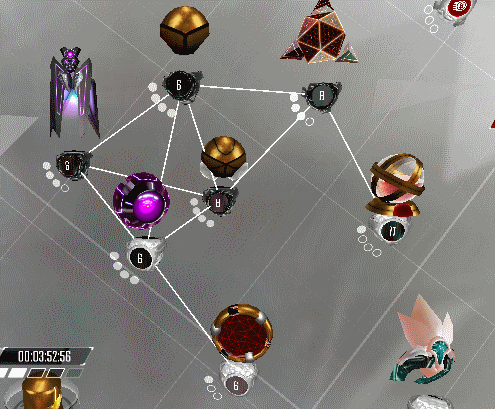 So now I am thinking if keeping them as two seprate branches is good or if it isnt better to connect Bcoin mixers with Databases? 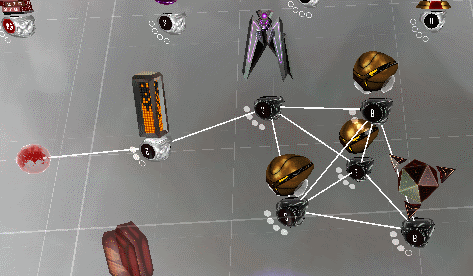 Chokepoints stay same and bonus defense for mixers and farms by connecting to each other + still have place for one sentry. I often see your version in the picture, but I think its more effective the latter version? Is there something I am forgetting? kingofsnipers wrote: Very very nice post man! Nice to see someone cares about the game so much. So it's clear that databases and mixers have more firewalls. But we need to consider the connection points as well ofc. 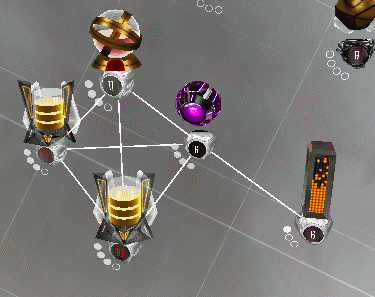 So for databases and mixers, you would have 3/4 connections spots for "defence nodes" because 1 of the 4 connections is to actually get to the database/mixer. Same for the farms and mines. 2/3 connections for defence. So keeping that in mind, here are the comparisons for how much each "defence node" needs to spread the antivirus. We want smaller values because it would be easier to retake. That's actually quite interesting. 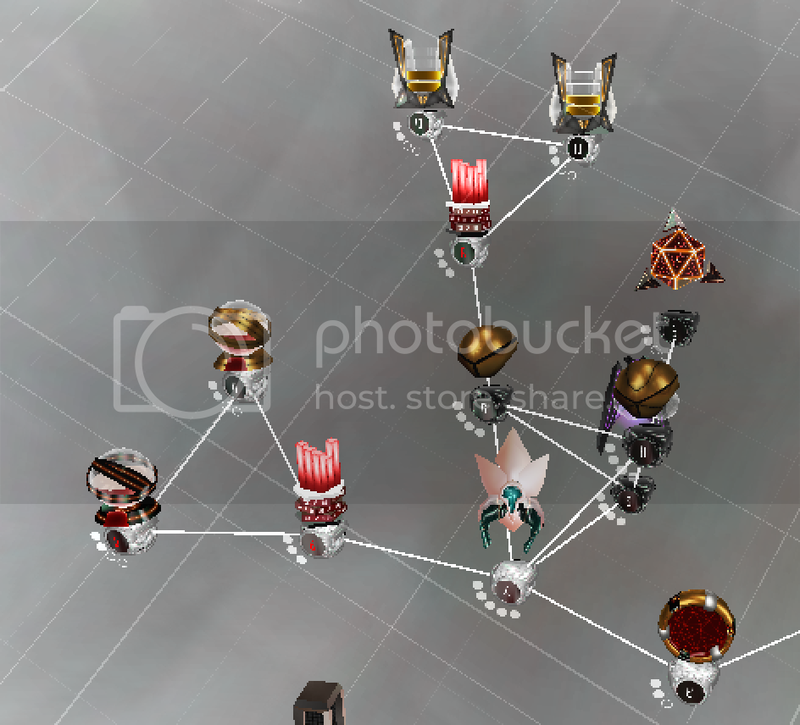 So data bases and mixers would make better choke points because they have that extra connection that makes all the difference. But then, when the attacker is on the choke point, whether it be the storage or the mines, which would be easier? To take out the tanky storages? Or to take out weaker mines? I guess you could counter that by putting storages behind storages but that makes it easy to take all your loot at once. So it becomes a matter of if you want to go all in or not. IMO I wouldn't do that. Currently, heres how I have mine. I would like to put the database branch behind the sentry but that would put it too far from my net connection so that'll do for now. Good guide, put that on wiki, it will be better. Eventhough,i know everything already about them. THANK YOU SOO MUCH. I posted my base on a screenshot, and legal said it needed a choke point. Now my base has one. 1337 wrote: THANK YOU SOO MUCH. I posted my base on a screenshot, and legal said it needed a choke point. Now my base has one.